The company behind millions of fire risk home appliances Whirlpool Corporation, has become the “first appliance maker to activate Apple Watch functionality integration to bring expanded remote capabilities” to its suite of connected products at the Consumer Electronics Show – CES – 2018, according to recent press. 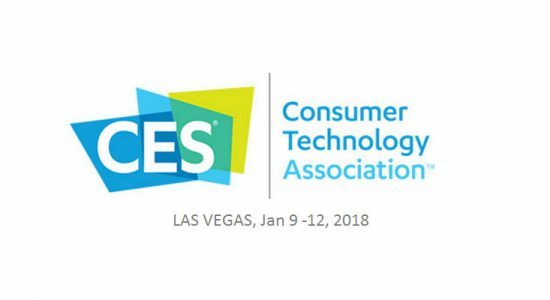 Consumer Electronics Show – CES – 2018 is taking place from tomorrow and runs during 9-12th January in Las Vegas. According to Whirlpool, consumers will soon be able to remotely communicate with more than 20 connected Whirlpool appliances – such as ovens, washers and dryers – via Apple Watch. “Bringing intuitive technology and functionality to the appliance category that helps take the friction out of household chores is chief among our goals as we innovate for the smart home,” said Brett Dibkey, vice president for brand and strategy in North America. Whether or not the Apple Watch functionality includes an alert if your appliance catches fire has not been revealed. The group has also announced that certain Whirlpool smart appliances now support Google Assistant and Amazon Alexa, allowing consumers to control their appliances with voice commands. “We believe a smart home should learn, adapt and grow with how families care for each other,” said Whirlpool communications brand manager Jennifer Tayebi. “By teaming up with Google and Amazon we’re providing families with a unique way to interact with their appliances to get chores done their way and on their time,” she added. Whirlpool is also introducing Amazon Virtual Dash buttons in its refrigerators with touch screens, allowing Amazon Prime customers to order certain products straight from their refrigerator screen. 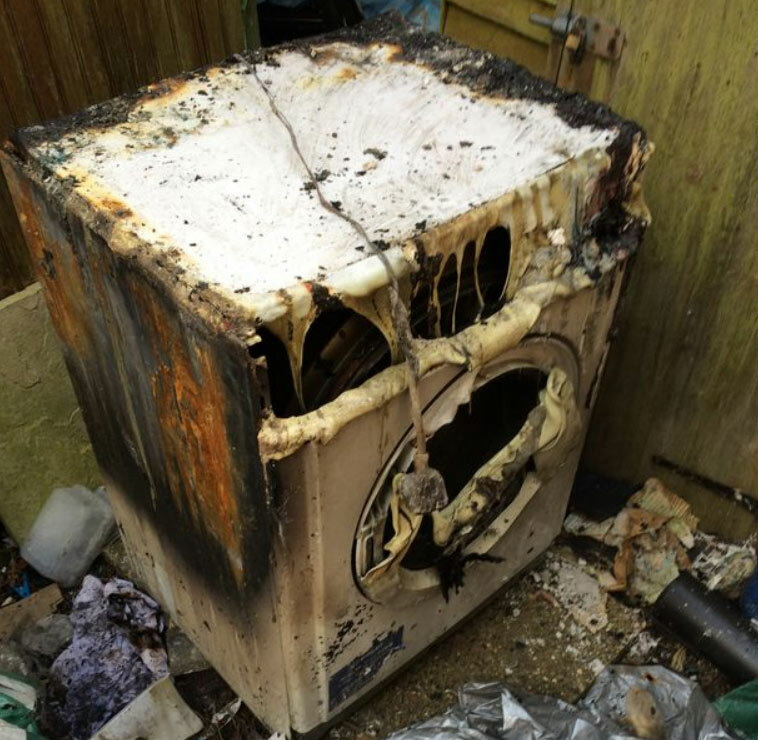 With the Alexa support it may be prudent to test the phrase “Alexa, call the fire brigade” beforehand, just incase you need it, owing to Whirlpools shocking approach to the safety of its consumers. 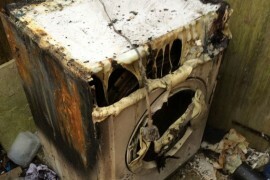 Whirlpool’s handling of this growing fire safety scandal has been woeful and as such every news item about Whirlpool on this site will have the tag #whirlpool-hotpoint-creda-indesit-fire to inform consumers that despite all the awards and achievements Whirlpool may boast about, at heart your safety isn’t something it puts first so just think about that before you put one of their appliances in your home as some reports have shown, the appliances are not limited to tumble dryers when in use, but as in the case of the Grenfell Fire, a fridge/freezer was reported as the start of the blaze and these appliances are not turned off when you go to sleep at night.